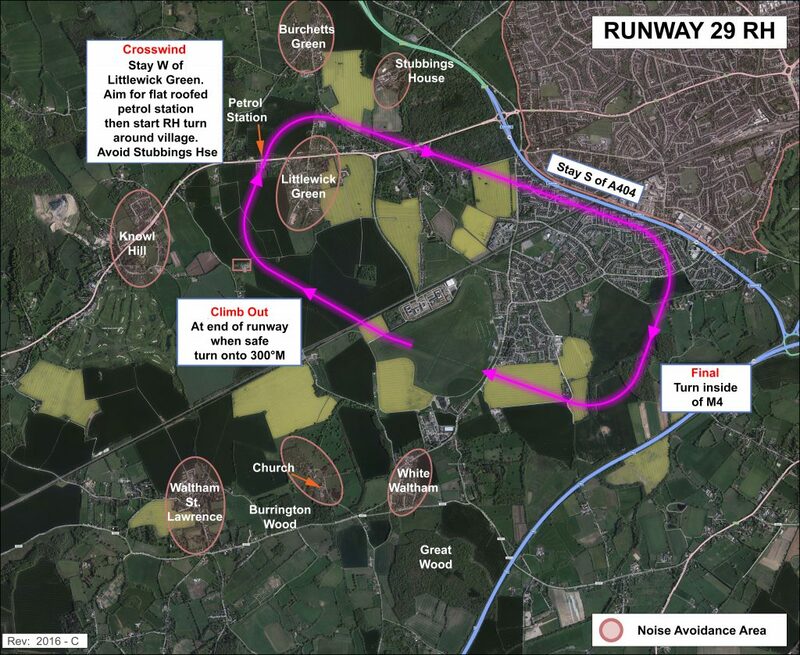 Runway 29 is a rough and undulating runway. To those not used to its characteristics it can present a bit of a challenge. To minimise any problems when landing or taking off avoid the chalk centre lines, these are easily worn out and become damaged especially in wet conditions. Runway 29 is 30 metres wide please land to the left or right! 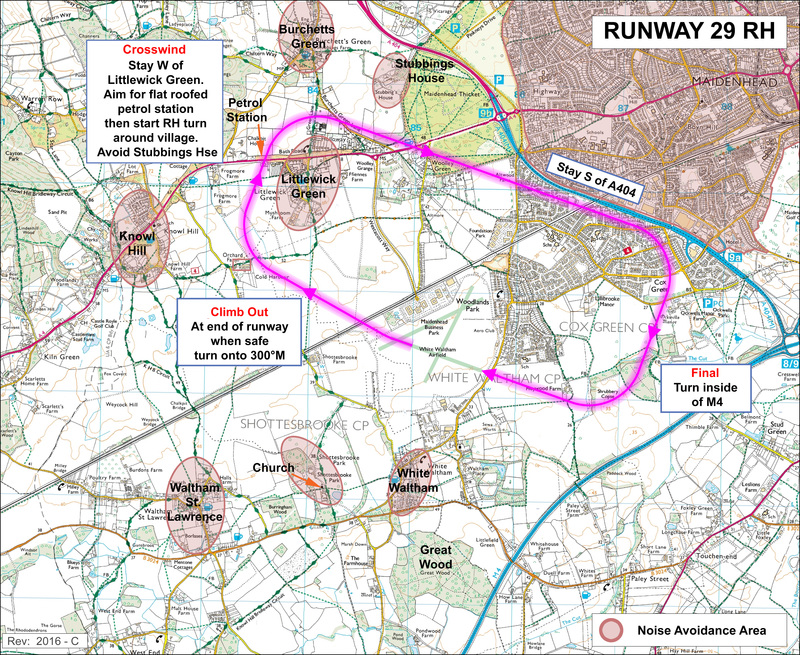 Runway 29 – After take-off, when safe, Turn right onto 300 degrees magnetic – keep on this track until past the noise abatement areas. Please do not fly over Knowl Hill or Littlewick Green. To avoid Stubbings House start the downwind turn at the petrol station. Remain at 800ft QFE until clear of the circuit. Remain below controlled airspace which is 1500 ft QNH in the Eastern part of the ATZ.